In a few hours there is going to be a major disturbance in the force that is the Ugandan music industry. A young Swedish-born Uganda is going to perform at the National Theatre courtesy of the Swedish embassy, and not many Ugandans know who she is. Even more will miss the significance of this concert. There are high chances this is going to be a solar-eclipse-type, once in a lifetime event that many a people will regret later in life for having missed because this musician is surely about to blow up onto the world stage, and then maybe after that, she will be too expensive to bring back here ever again. We all know how the very best music that Uganda has ever created has been recorded from Sweden. Madoxx Sematimba’s ‘Tukolagane’ album is still some of the best music we were ever lucky to call our own, with the most prominent single on there being “Namagembe”, a song of cosmic sweetness musically. Having come out in the year 2000, Tukolagane is still considered the best modern Ugandan music by many, almost 20 years after its release. Then how can one forget Philly Bongole Lutaaya’s ‘Born in Africa’ album? Recorded in Stockholm is 1982, it has timeless songs like Entebbe and Diana. Such maturity, such ability to touch souls of all ages! But most unforgettable of all, the most successful album in Uganda’s history; Lutaaya’s Christmas album was also recorded in Sweden in 1986. Walk around any town in Uganda during the festive season and the sound score for all Christmas shipping is Lutaaya’s music from that mighty, mighty album. Tonight’s free concert is another milestone in this musical relationship between these two countries. While the other two musical greats (Lutaaya and Madoxx) were Ugandan-born Swedish musicians, Ddumba is a Swedish-born Ugandan musician. Comparing those two to her is like comparing the skills of child who goes to a good school with those of an adult person who goes to the same school for mature studies. 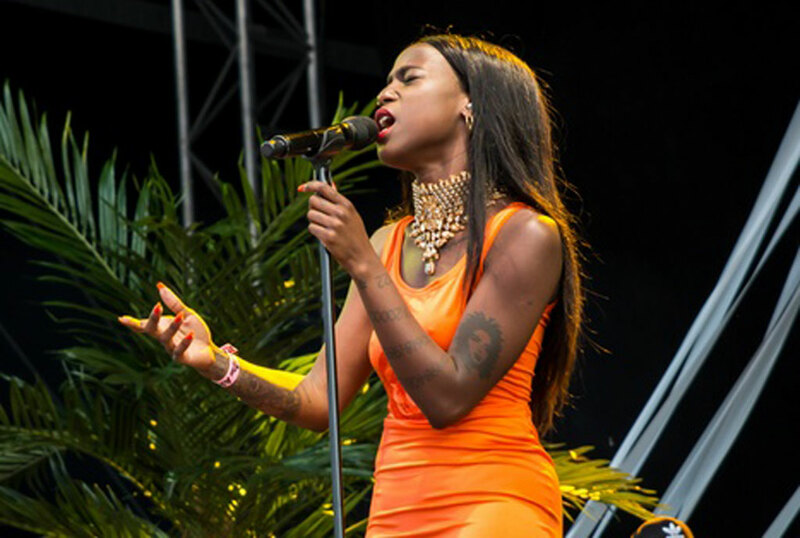 While the former two encountered whatever it is that Ugandan musicians encounter in Sweden that makes them tick in their adulthood, this young person has been sucking at it’s bossom since she was a baby. It definitely has to come more natural for her than the other two legends. It has a bearing on everything from confidence building to talent grooming to how early in life the artist was exposed to the profession. Twenty-three-year-old Sabina Ddumba, while she is still very unfamiliar to many people in the Swedish music industry, let alone Uganda, is rising through the music ranks at a blinding rhythm. 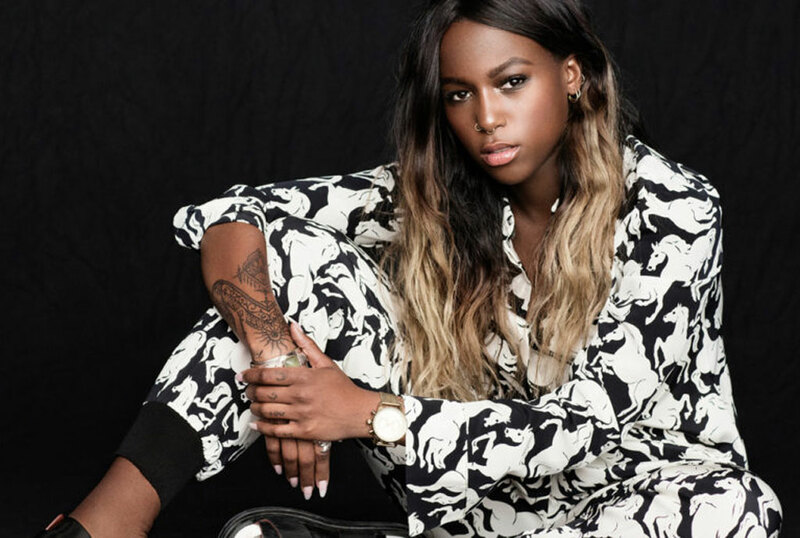 The Swedish-born Ugandan released her first single, ‘Scarred For Life’ in 2014 and in just three succeeding years, she has had meteoric success. Her most successful single, ‘Not too Young’, streamed 39 million times on Spotify. She has sold out two tours at Sweden’s biggest festivals, Bråvalla and Stockholm, has been able to win a Swedish Grammy for newcomer of the year 2016 on top of other prestigious awards. She also features in Katy Perry’s Walking on air. Clearly, this one will be bigger than Madoxx and Lutaaya before her, because she’s effortlessly talented and, in her case, she sings flawlessly in both Swedish and English. Sadly she does not sing in Luganda unlike her predecessors; at least not yet. But things may soon change now that she’s visited home. Sabina Ddumba was born on 23 February 1994 in Fisksätra, Nacka and she is the sixth out of eight children. This is her first time to come to Uganda but she says that while growing up in Sweden, she was very well connected to her roots. Her mother made her and her siblings sing lots of traditional Ugandan nursery rhymes and that this is how she became interested in music. Her mother moved back to Uganda when Sabina was eight years old and she has since lived with her father and other siblings. Look out for the full version of the story after an interview with her later this week.